Come share your story and be part of our Co-Learning. New England and Greater Boston is a worldwide leader in Innovation. The New England Community of Practice is the center-of-gravity for Lean practitioners, wherever you are in your journey. We welcome newbies and seasoned practitioners. We share openly, safe in the knowledge that Lean is people-first, and that Lean tools are merely instruments to assist people to Discover Value and Eliminate Waste. Our approach is to share LCI tools through the eyes of local companies. New England is home to wide range of Lean expertise ranging from Owners, Designers, Engineers, Builders and Trade Partners. Thank you for attending LCI New England’s September event, General Cable Plant Tour featuring Visual Systems and Visual Factory Management. The group did an amazing job translating what we learned into practical ideas for our industry. Come for a networking happy hour to learn more about the Lean Construction Institute New England. LCI is transforming the industry by promoting and facilitating Lean adoption. They provide education, resources and best practices to owners, architects and engineering firms, general contractors and trade contractors who are working collaboratively to continuously improve the way the built environment gets built. This event is sponsored by Quick Base. 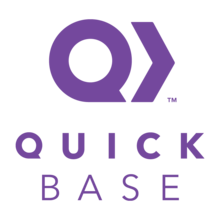 Quick Base is a platform that enables construction firms to deliver flexible technology to their teams faster and more cost effective. It is commonly used throughout firms practicing lean for things such as weekly work planning, materials procurement, safety management, project management, punch lists, asset management, QA/QC, vendor management, mobility, etc. This topic was presented by Hal Macomber at the LCI Congress in Orlando. A very large part of professional services work or effort is the result of failure demand. There are two types of demand on our time: demand for our value-added services, and demand that arise from processes that don’t result in the expected outcomes. This requires some do-over and is usually accompanied by superfluous supporting work. Reducing failure demand makes a firm more profitable, nimble, and staff more engaged. This 75 minute abbreviated program by Hal Macomber will prove to be beneficial to all. Providing Lean and Kanban Method coaching, instruction and consulting to architecture, engineering and construction firms and their clients. We will be practicing with the Catered Event Simulation – a high-energy exercise that is guaranteed to engage even the most jaded practitioners. Those with less experience – learn how to make handoffs explicit between workers and experiment with sequencing alternatives. Those with more experience – try your hand at facilitating a group during the simulation. Cynthia Tsao, PhD-Consigli Construction Company -As the Director of Lean Strategy at Consigli, Cynthia is responsible for customizing the approach for Lean implementation on construction projects as well as within and across company departments. A proponent of Lean delivery since 1997, Cynthia uses her expertise in product-process design integration to help teams improve project outcomes by efficiently using and enhancing team member capabilities as well as transforming complex design problems into ones that are easier to manage and construct. The project team will provide a brief introduction to the 3P process and discuss how it was utilized for a Central Sterile Processing (CSP) project with Hallmark Health at Melrose-Wakefield Hospital. They will explore why using the process was important, the timing of introducing the 3P process into the design and the value it created to each stakeholder. They will also have a candid conversation about what worked well and what could have been better for continuous quality improvement opportunities in the future. Jason Costello, Associate Principal | Partner – MPA, Margulies Peruzzi Architects– Jason is a licensed architect with over 15 years of experience focused on the design and construction of large multi-phase healthcare projects totaling over two million square feet. During this time he has managed several large multidisciplinary project teams that have resulted in successful projects for his clients. Built upon three years of full-time construction administration experience, he provides a unique perspective to the challenges inherent to healthcare renovation projects. Colin Milberg, PhD., Principal – ASKM and Associates– Colin has been involved in Lean Construction for the past 13 years and began offering his consulting services independently in 2012. Since 2000, Colin has worked with a variety of public and private organizations on large-scale infrastructure projects assisting project teams in the implementation of Lean Construction and Enterprise practices creating Pull Planning and Superintendent Standard Work as well as developing internal capacity for facilitating Lean Construction practices. Sharon Jozokos, Director of Healthcare Services – Columbia Construction Company – Sharon has over 25 years of experience in the construction industry. She earned her MBA at Boston College and she is a graduate of Wentworth Institute of Technology. As the Director of Healthcare Services at Columbia, she works closely with the team to bring best practices, organization, innovation and passion to all healthcare projects. Throughout her career, Sharon has been involved in various complex construction projects from small-scale renovations up to $200+ million projects. Dojo is a global cultural shift towards Lean leadership at all organizational levels. It is a practice-based mindful development of yourself, your relationships with your peers, colleagues, and clients. Learn lean leadership skills necessary to improve the success of Lean initiatives, while avoiding the constant fighting of the urgent fires of the day. Hal Macomber did his first production system project in 1974 followed by a two-year stint w/ Bank of Boston in operations research. Studying quality and just-in-time production in Japan in the mid-1980’s began the formal intro to Lean. Along the way, Hal was introduced to the work of Fernando Flores — first the study of the language-action perspective, then ontological redesign. This knowledge coupled to Lean allowed him and his collaborators to make very large scale organizational interventions. This course will introduce Lean Project Delivery as an Operating System relative to the design and construction industry. Participants will learn the key principles and wastes that are foundational to Lean, ways to eliminate/reduce waste from processes, collaborative tools and approaches. It includes a hands-on learning simulation. Definition of Lean and the principles associated with a Lean operating system. Identify the principles and tools relevant to Lean design and Construction processes. Recognize various types of waste in design and construction and apply tools to reduce, minimize and/or eliminate waste. Nick Masci has twenty-five years of construction experience and has been practicing lean for 10 years. He’s a Lean Black Belt and has certification from the Society of Manufacturing Engineers. Nick came up through mechanical contracting, to design-build, lean consultant and currently leading both operations and lean transformation at Triumph Modular. Nick credits the spark for continuous improvement to his tenure as a naval officer onboard an aircraft carrier. Colin Milberg has twenty years of construction management experience in both the office and field, combined with seven years of university teaching in construction engineering and management. Colin has worked with public and private organizations, on both heavy civil and building projects, ranging from $2 million to $1 billion, assisting over 100 project teams and organizations implement Lean Construction and Enterprise practices. You may park in the Channel Center Garage 116 West First Street, which is on the far side of the State Street Building or the A Street Surface Lot. 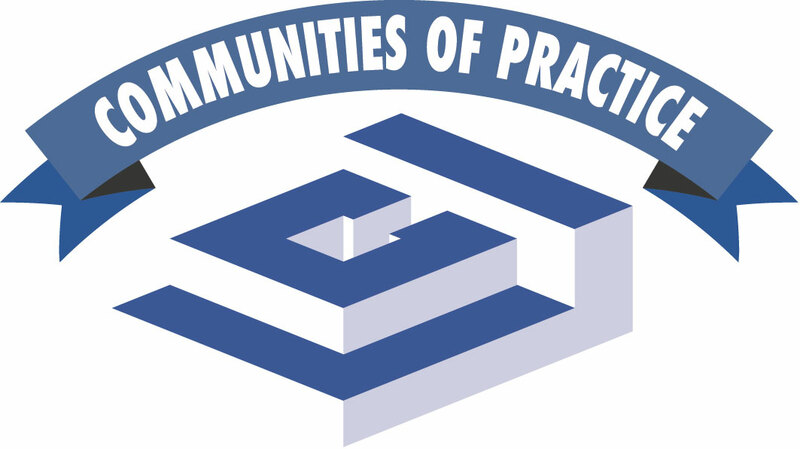 The Lean Construction Institute’s New England Community of Practice invites you to start 2018 with a Lean practitioner networking event! This is a great opportunity to meet up with past colleagues and friends or to connect with lean practitioners for the first time. We have planned a casual evening of networking to share our successes and challenges along with light hors d’oeuvres and drinks. Join us in December to learn about Kaizen (Continuous Improvement) from people who practice it. The New England Community of Practice is partnering The Boston Society of Architects and we are hosting an interactive discussion with a diverse panel of Kaizen practitioners. Attendees will learn about a variety of successful approaches Lean practitioners are taking to achieve Kaizen in different settings. We will also talk about the challenges and barriers that we face when implementing Kaizen. This event will provide value for anyone interested in changing for the better regardless of past Lean experiences. Join us in September to hear how Compass Project Management and MSCBA have harnessed Lean practices to add value at the corporate level of their organizations. This program will open your eyes to innovative ways Lean can be applied to support executive leaders in your organization. Throughout the summer, LCI has been coaching each organization, exposing them to Lean thinking as it applies to an organizational challenge. 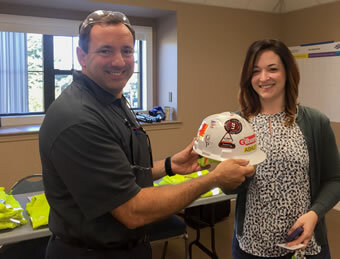 Compass Project Management utilized Lean tools to develop a road map to sustain a culture of excellence as their firm grows. 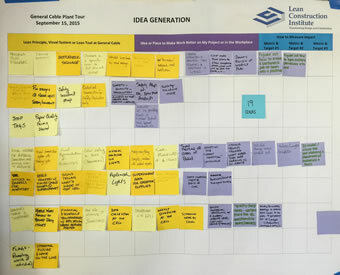 MSCBA used Lean tools to develop a communication and outreach strategy. In this session you will hear from leadership of these two organizations, and their customers, to understand how they are using Lean tools to solve larger, strategic challenges. Tim Bonfatti – Compass Project Management -Tim started Compass Project Management, Inc. to provide results-oriented project management services to owners in the public and private sector. Tim is a 30 year veteran of the design and construction industry who has been a leading force in improving public sector construction. Tim has managed over $1 billion worth of projects including many high profile projects with intense public scrutiny. Janet Chrisos – Massachusetts State College Building Authority – Janet is the Deputy Director at the Massachusetts State College Building Authority. She is responsible for design and construction activities of the Authority where she has overseen the completion of over one billion dollars of capital projects over the past ten years. Janet is a graduate of UMass Dartmouth with a degree in mechanical engineering. Prior to MSCBA, she held positions at General Electric, Hewlett Packard and has provided consulting services to area colleges. David Flynn – Boston University – David is the Assistant Vice President for Construction Services at Boston University. • What is Lean project delivery and how does it generate better project outcomes? • How can Lean improve daily work for Union members? • How can Unions prepare their members to excel on Lean projects? 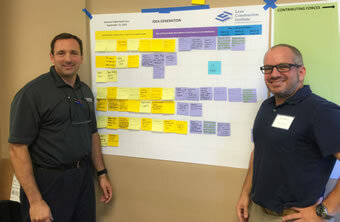 • How can Contractors + Unions partner in Lean training and implementation? Project teams report that successful Lean implementation results in better productivity and safety for all Trade Partners. Participate in the dialogue with our featured panelists from 8:00-9:30am to hear firsthand accounts and discuss the benefits of forging a key partnership between Unions and Lean. Those interested are welcome to join us afterwards for a work session with the Iron Workers Union to develop an outline for a pilot Lean training program. Parking is available at the Parker Street Lot. Hands-On Lean Training in High Performing Teams and Pull Planning! Join Master’s students from WIT’s “Modern Construction Delivery Methods” class and fellow AEC professionals for hands-on Lean training in High Performing Teams and Pull Planning in a fast-paced, high-energy setting! We will start with a discussion and exercise about how Lean provides an excellent framework for High Performing Teams. Then, after break, we will learn about Pull Planning and practice Pull Planning in mixed teams. Pull Planning is atypical first step in Lean implementation on AEC projects in which project team members determine how work is handed off between companies and individuals to deliver milestones. Those with more experience – try your hand at facilitating a Pull Plan with LCI New England Community of Practice members standing by to assist. In this workshop, you will learn how to (1) make hand-offs explicit between workers, (2) experiment with sequencing alternatives, and (3) consider different production rates. This year, Cynthia Tsao of Consigli and Luciana Burdi of Massport are co-teaching WIT’s “Modern Construction Delivery Methods” class. Dan Anderson of the LCI New England Core Group will lean discussion on High Performing Teams. The Lean Construction Institute’s New England Community of Practice invites you to come and celebrate our 6th year anniversary! This is a great opportunity to meet up with past colleagues and friends or to connect with lean practitioners for the first time. We have planned a casual evening of networking to share our successes and challenges along with light hors d’oeuvres and drinks. The event is free and generously hosted by Gilbane and the CoP core group. Jon VanSweden is Global Leader and Sensei, Steelcase, Inc. A 33-year employee, Jon has enjoyed success developing the Steelcase Production System, building model cells and deploying a Lean Management System. Jon supports plants with Steelcase design and plants with Operations Assessments based on SHingo Criteria. He enjoys connecting with value streams through value stream mapping and driving continuous improvement. Jon also helps nonprofit organizations advance their Lean Journeys. Deadline for registration is Thursday, March 16th. Hors d’oeuvres, beer, wine and soft drinks will be provided. The Business Case for Lean Construction – Proof Positive! Traditionally we have relied on anecdotal evidence to suggest how project teams might deliver better project outcomes. Empirical evidence now shows that projects with high Lean intensity are three times more likely to complete ahead of schedule and two times more likely to complete under budget. How and why projects are excelling were explored through two separate Lean Construction Institute research efforts conducted by Dodge Data & Analytics and University of Minnesota. Attendees will learn how to use this compelling information as a call to action, a way to change project mindset. They will leave the event with an understanding of how to get started, and the best way to tell the story. Bonus: Come see the New England Community of Practice 2017 Calendar of Events. Hear descriptions and provide input…we’d love to hear your voice. Nick Masci is a Lean Black Belt at Haley & Aldrich – part of the firm’s Lean Consulting service line, coaching firms, owners and projects to fulfill the promise of Lean. As co-chairman of the New England Community of Practice, he will bring a dynamic perspective to the presentation. John Pemberton is recently retired VP/GM of Intel’s global construction and LCI board member from 2014-2016. He has many practical examples to share from implementing lean and collaborative contracting approaches from around the globe and around the US. 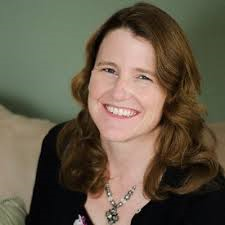 Donna Laquidara-Carr is Industry Insights Research Director at Dodge Data & Analytics. She provides editorial direction to the SmartMarket Reports, covering such diverse topics as sustainability, BIM, risk management and lean construction. Hors d’oeuvres, soft drinks, beer & wine will be provided. Reception and Open Networking at the Plumbing Museum followed by a Pre-Fabrication Panel Discussion on Lean Approaches to make-ready work and installation ready products. Light hors d’oeuvres, beer and wine will be served. This highly interactive workshop is designed to identify and explore the concepts of leadership while provid­ing a framework for assessing your personal leadership skills. Whether you’re an aspiring or accomplished leader, you’ll walk away with proven tech­niques to empower your team, deal with conflict and change, manage continuous improvement initiatives and much more. This workshop will help you gain information on how your personality and communication style affect the success of change initiatives and identify organizational barriers so you can capitalize on current and future op­portunities. Learn the tools & techniques to implement lean leadership • Gain a better understanding of leadership and management • Explore ways to deal with change, conflict, feedback, influence and culture. We will create awareness of the principles behind the 5S’s and identify the impact that the 5S’s can have on improving efficiencies and promoting safe working environments. Case studies will show stunning transformations: how floor space has been increased, improved working conditions, improved inventory management, lowered incident rates, enhanced communication and improved morale. Learn the 5S’s: Sort, Set-in-Order, Shine, Standardize, Sustain. How to get started and connect every part of the organization. *Attendees will receive a free copy of “The 5S Pocket Guide”! The next step in the A3 process is understanding the current state of affairs. Value Stream Mapping is a tool used to visualize the current process and clearly identify bottlenecks, problem areas, and performance gaps. VSM is an important preparatory step for a good root cause analysis and basis for projecting the desired future state. The A3 has gained wide acceptance in the Lean community and in the construction industry. Attendees will leave this presentation with confidence to take their A3 efforts to the next level and add to their lean problem solving capabilities. The presenters will share VSM examples and provide introductory training so that people can gain familiarity with the tool and be able to apply it to their own situations. 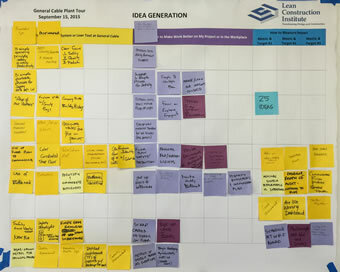 Pull Planning is a typical first step in Lean implementation on AEC projects in which project team members determine how work is handed off between companies and individuals to deliver milestones. Join Master’s students from WIT’s “Modern Construction Delivery Methods” class and fellow AEC professionals to practice Pull Planning in a fast-paced, high energy setting! Those with more experience – try your hand at facilitating a Pull Plan with LCI New England of Practice members standing by to assist. In this workshop, you will learn how to (1) make handoffs explicit between workers, (2) experiment with sequencing alternatives, and (3) consider different rhythms for production. Christian Blomdahl is the Lean Practices Manager for Suffolk Construction. Christian is responsible for coordinating, coaching and training all Suffolk project teams on planning processes. He also serves as Suffolk’s in-house Lean consultant and primary spokesperson, and acts as a change agent within the organization. With Christian’s help, in a short period of time, Suffolk Construction has taken great strides to become a more Lean organization. Before joining Suffolk in 2014, Christian implemented Lean principles on over $700 million of fast track, highly technical construction projects throughout the U.S. and Canada. Registration deadline: Monday, November 30th by 6:00pm. No refunds will be issued after November 30th. Capacity is limited – register soon! Reacting to changes in supply/demand, adding equipment, changing flow, innovation in the value stream. Controlling flow with kanbans (i.e. signal cards) & standardized work. Attendees will learn how to apply proven production visualization and control techniques to augment Last Planner System, Target Value Design and the enterprise Lean Journey. Tom Lacey is the manufacturing manager at General Cable’s Manchester, NH plant. He has an engineering background and leadership experience in various companies. He has served in engineering, operations management, plant management and sales management positions. Lacey holds six patents. Registration deadline: July 31st by 6:00pm. No refunds will be issued after July 31st. JOIN US FOR A GROUP DISCUSSION BRINGING TOGETHER THE PERSPECTIVES OF DESIGNERS, CONSTRUCTION MANAGERS, AND MEP SUBCONTRACTORS TO IMPROVE THE PRECONSTRUCTION PROCESS. WE WILL USE A3 PROBLEM SOLVING TO ADDRESS THE CURRENT CHALLENGES AND AN IDEAL STATE PULL PLAN TO DEVELOP A MORE COLLABORATIVE AND VALUE FOCUSED PRECONSTRUCTION PROCESS. WE HAVE BROUGHT TOGETHER A DYNAMIC GROUP OF LEAN PRACTITIONERS THAT REPRESENT THE DESIGN, ENGINEERING, CM AND SUBCONTRACTOR ROLES ON A PROJECT. THE GROUP AS A WHOLE REPRESENTS SOME OF THE LARGE CHALLENGES AND CAN SPEAK TO OPPORTUNITIES OUR INDUSTRY. WE WILL SHARE METRICS AND STORIES TO UNCOVER ROOT CAUSES AND PRESENT AN IDEAL PULL PLAN THAT ADDRESSES COMMON INDUSTRY CHALLENGES THAT PREVENT US FROM IMPLEMENTING A COLLABORATIVE, VALUE ADDED DESIGN PROCESSES. Several project team members from multiple healthcare IPD projects will share their experiences from the “Big Room” or the “Colo” and expand the conversation beyond the physical space to include a “Big Room Mindset.” The panelists will discuss ways to integrate “Big Room” behaviors into projects, share their insights, discuss results, and tap into the audience’s perspective on this approach. If you are curious about the impact and challenges of co-location from the design, construction and client team please join us. Space is limited – register early. Heavy appetizers and drinks will be provided. Discover the A3: The Lean Way to Think about Problems, Develop Talent, Deepen Knowledge- Learn the structure of the A3 process in this introductory session. The A3 has been called Toyota’s secret weapon, the process by which the company identifies, frames, and then acts on problems and challenges at all levels. We will reveal that more than a single problem-solving mechanism, the A3 is a management process; where the widespread adoption of the A3 process standardizes a methodology for innovating, planning, problem-solving, and building foundational structures for sharing a broader and deeper form of thinking. The A3 has gained wide acceptance in the Lean community and in the construction industry. Attendees will leave this presentation with confidence to tackle their first A3 or improve upon their existing skill. The presenters will share A3 forms and examples so that people can feel a connection to a key business issue. A panel discussion addressing the benefits and challenges to creating an effective Lean project team. Panelists will represent the perspective owners, builders, and designers. The focus will be setting early goals and structuring the team relationship. This LCI NE event picks up from ‘value in the eye of the owner’ and looks at how a team can be aligned to work within a project value stream. This is a critical step towards creating flow in the project design and delivery. Heavy appetizers and drinks will be provided. Owners may attend free of charge. We will first hear from John Shook from the Lean Enterprise Institute’s “Lean Product and Process Development Group.” He will share lessons for creating consistently great products, profitable value streams, and stronger organizations. Our owner panel is at varying Phases of the Lean Journey — some beginning, others industry experts. They will help us understand the starting point of all Lean — Value in the Eye of Customer. This promises to be a candid discussion about how owners consider the value of specifically asking for Lean thinking and delivery. This event will explain how the Planning, Design and Construction community can support Lean — and what it means to be Lean. Owners will better understand what it takes to be a good owner, how to craft an RFP and how to build the capacity to collaborate we all desperately yearn. The cross-learning from the “Lean Product and Process Development Group” will benefit all, helping to enable the innovation all project teams crave. We will introduce the role of Lean construction and the formation of the Community of Practice in the New England area. Steve Spear, MIT professor and author of High Velocity Edge, will share his insights as an accomplished Lean expert. This event will explain how the Community of Practice will help you and your company acquire the tools and knowledge to implement Lean every day. Cohesively build your Lean skills, connect with other Lean practitioners, and gain a sense of where Lean is being applied and put in place to overcome problems and obstacles. Free for students and Owner Representatives. Please park in the West Parking Lot (main lot) at 550 Huntington Avenue. TAKE A BREAK FROM THE HEAT AND HUMIDITY, AND JOIN US FOR ANOTHER ROUND OF HANDS-ON LEAN TRAINING IN PULL PLANNING! For more more information, and to register, click HERE. Are you looking to create the type of collaborative environment that owners seek from their investment in an integrated team, but not sure where to start? Do you want to be able to apply Lean thinking in a way that will not only accomplish project goals, but break down barriers and deliver more than you originally thought possible? If yes — then come and join the LCI NE Community of Practice to discuss these and other ideas that can be a part of our group’s collective strategyfor the year. In turn, you will gain some insight that will help you kick off your next capital project. MAKE-READY PLANNING â€“ What happens after Pull Planning! MAKE-READY PLANNING — WHAT HAPPENS AFTER PULL PLANNING! The Last Planner System® (LPS) is an integral component of lean implementation on capital projects, and Pull Planning is only one facet of it. Last year, CMAA teamed up with LCI New England to learn about Pull Planning. We continue our lean learning journey with a panel discussion on another facet of the LPS — “Make Ready Planning,” featuring perspectives from J.C. Cannistraro and Consigli. Through the discussion, we will learn about how Make Ready Planning removes roadblocks so that work on site can happen as planned. Roadblocks may emerge due to owner decisions, design development, long lead time items, construction sequencing, and changing site conditions. We will examine how all project team members contribute to Make Ready Planning, and we will explore the benefits of good Make Ready planning versus the impact of poor Make Ready planning.